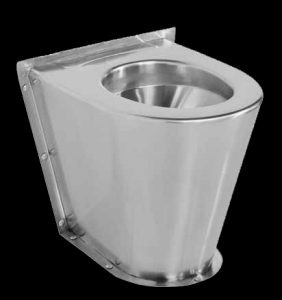 Heavy Duty Wall and Floor Mounted WC Pan (HDTX Range of models) with dimensions, 360 x 550 x 410 mm high. Unit to be manufactured from Grade 304 (18/10) Stainless Steel 1,2 mm gauge. 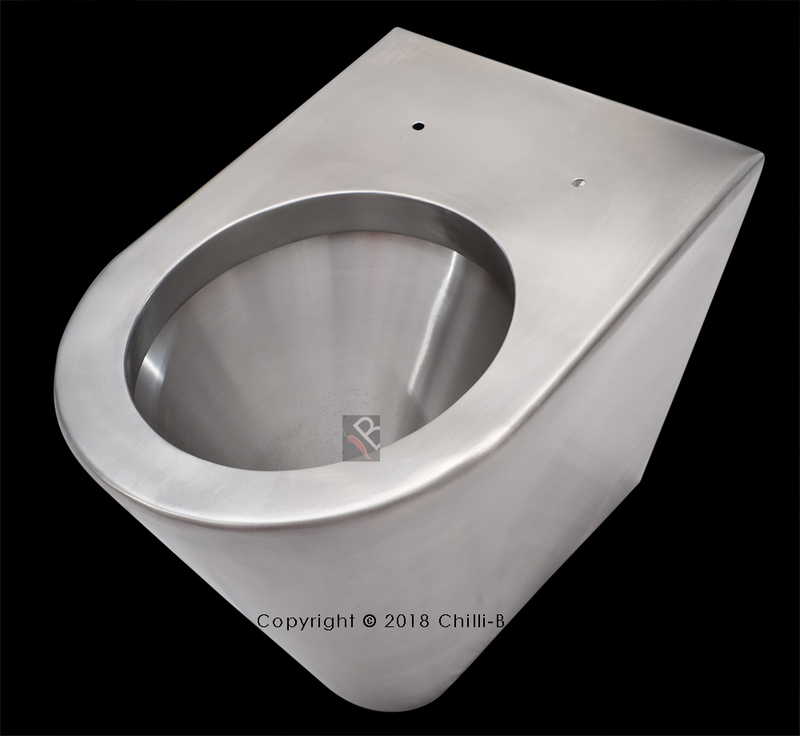 The vandal resistant toilet is manufactured with a pressed flushing rim and integral “P” Trap with a 100 mm outlet pipe and a 60 mm back entry inlet pipe to suit a rubber flush inlet sealing bung. The toilet pan is also manufactured with a shroud to protect the p-trap from vandalism. 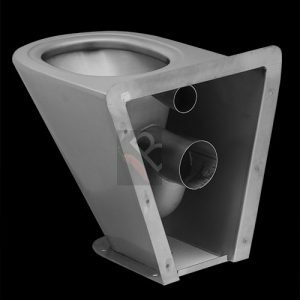 The internal flanges are designed for extra security to fix the pan through the wall and into the floor with anchor bolts. These bolts are not accessible from within the bathroom or washroom and a duct installation is then recommended. (Bolts elsewhere measured). This vandal resistant toilet model is recommended for the back entry model only.See table below for model specifications. 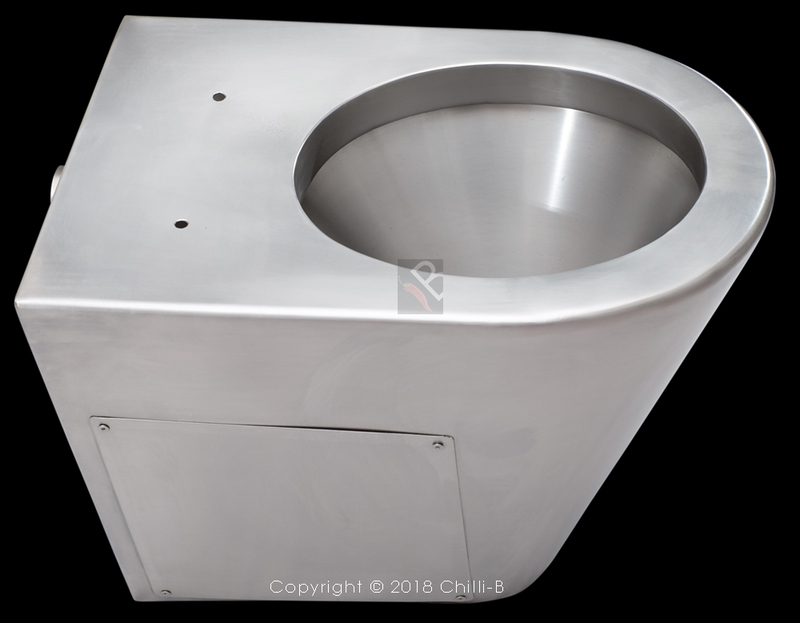 SS-PAN-BW SS-PAN-BW Floor mounted back to wall toilet pan. Back to wall pan with internal flanges. Back to wall pan with a service hatch to fit a toilet seat.